Don't have your artwork in a ready to print file? No problem, our designers can take your ideas and create something that looks great. It is FREE! 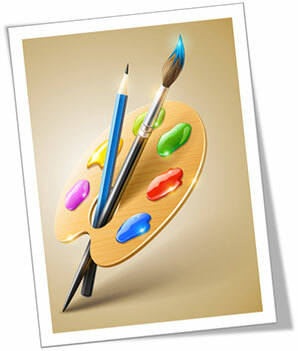 In order to provide a qualified artwork, we need to know exactly what 'text' are you going to use on the banner? Do you want to put any phone number or website address on the banner? Is there any specific color and pictures that you would like to use? Actually, it is more helpful if you draw a draft layout in a word document. * Please enter a message with your order number or any requests. You'll see previews of your design to confirm that you have uploaded the correct file. It's free. You just need to submit your files, we handle all the rest. Do I need to do anything to my files before uploading them? No. However, we do recommend you follow our File Setup Guidelines and upload in PDF format. How will my turnaround be affected? Free Project Reviews are not considered print orders, therefore there is no turnaround. Turnaround for a print job starts when a proof is approved and full payment is received.